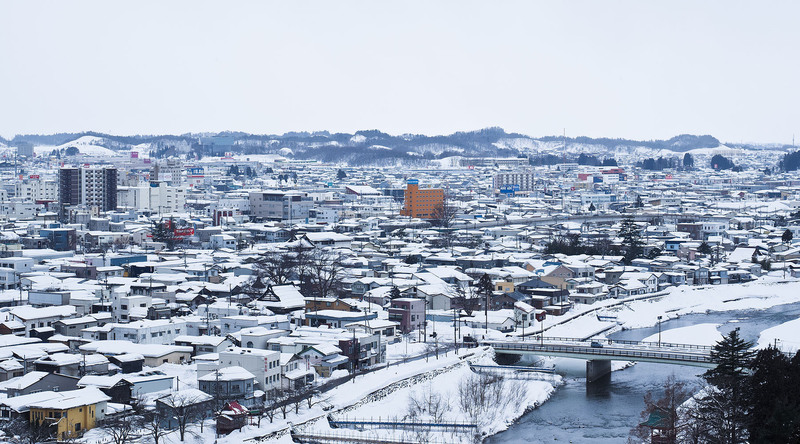 Akita Prefecture is situated in the north-eastern part of the Japanese main land, east of the Sea of Japan, flowing rivers, and expanses of fertile farmland. Majestic mountain ranges, including the UNESCO World Heritage Site of the Shirakami - Sanchi Mountains, surround the northern, southern, and eastern sides and make for incredible views. The city has a medieval past, but today it offers up a young, energetic spirit with its year-round festivals and street parades. There is also a prosperous art community, including several fine art museums and the Kakunodate Samurai District, showcasing the samurai way of life. Shrines, temples, and stunning waterfalls are all close to the city and provide a wonderful escape. Akita will have you feeling at one with nature and is the perfect place to decompress. This natural beauty is the deepest lake in Japan and, because of its depth, never freezes. An expansive mountain range surrounds the lake giving it a mystic quality. Whether you enjoy hiking, swimming, boating, or a lakeside picnic, this highlight is a must. This UNESCO World Heritage Site is the last and best relic of the cool-temperate beech forests that once covered northern Japan. It is also home to the serow, a goat-like animal, and 87 species of birds. This well-preserved samurai district that once housed about 80 families now showcases samurai lifestyle. Some of these building are centuries old and have been conserved as small museums, craft shops, and cafes. If you happen to visit during spring, the cherry trees will be in full blossom, a beautiful sight to behold. Relax as you cruise atop the calm waters of Lake Tazawa, the deepest crater lake in Japan famed for its breathtaking scenery and local legends. See a stunning collection of Namahage masks and costumes at the Namahage Museum, followed by panoramic views of the Pacific coast. An overview of historical Akita, with stops at its primary sites of interest, including Senshu Park and the Old Kaneko family home.